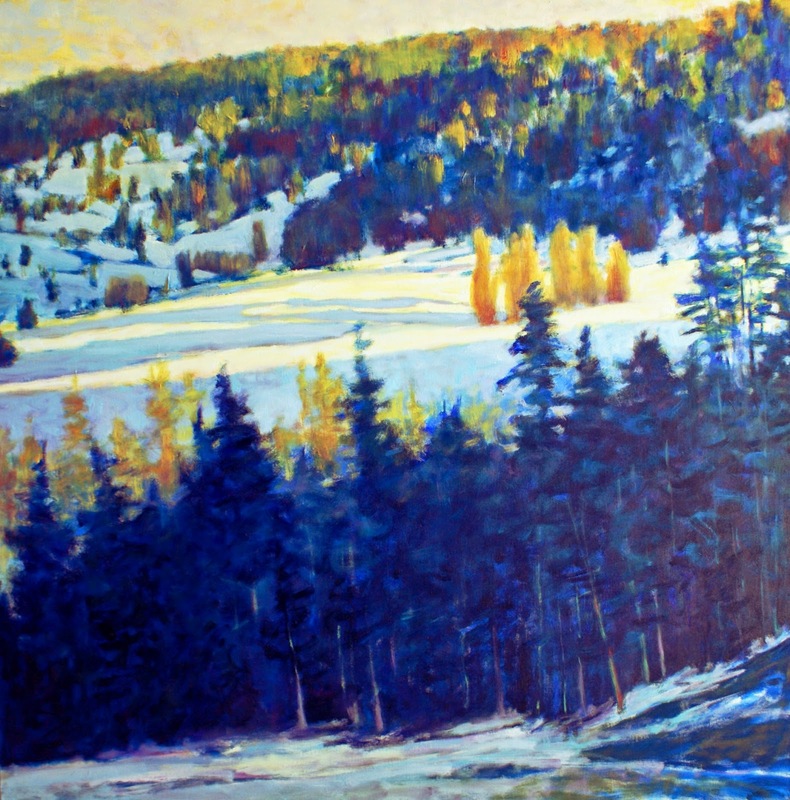 I was fairly new to Colorado when I did this oil. The stark bands of trees against the snow caught my attention. As I got into the work, the snow had to take on different looks depending on the light and distance - a new puzzle for someone that hadn't been around snow. Once the green and light-catching trees were put in, the rest of the painting became an interesting place to push the yellows and try the effects of red and mauves. Looking back, I now remember that I made a great start with this but didn't know what to do next. It sat in the studio, waiting for me to come up with the next moves for over 6 months. I'm very glad I took my time. It's a favorite of mine. Thanks to Elements and the Denver couple that gave it a good home!